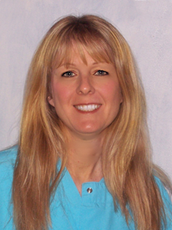 I facilitate our front-office operations, including patient scheduling and billing. It is my goal to make our office run as smoothly and efficiently as possible. I also try to make our office fun and lighthearted, too. We love to laugh and see our patients smile. In fact, “service with a smile” is how we like to run things here! My time outside of the office is spent with my husband and our two children. We love going to the beach. 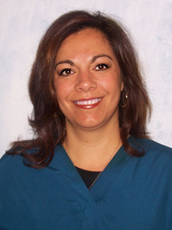 I work chairside with Dr. Kim and perform all the necessary duties to create beautiful smiles for our patients. I also help oversee and maintain our lab, where we make retainers to keep our patients’ smiles looking amazing. 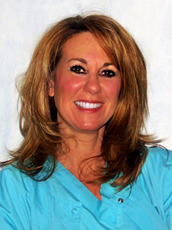 I enjoy talking with our patients and getting to know them a little bit better each time they come to the office. Working in orthodontics has been such a great experience. Seeing our patients’ smile at the end of their treatment is so rewarding! I am married with a son and a daughter. When I’m not working, I enjoy working out, going to the beach, attending concerts, and relaxing with friends and family. I work chairside with Dr. Kim and am also responsible for ordering supplies for our office. I love getting to know our patients, joking around with them, and in general making their experience with us one to remember. The best part of working here is seeing the progress of our patients’ smiles — especially the end result. Many of our patients feel right at home when they walk in the door, and when they tell us that, I know our team has been successful! At home, I have a wonderful husband and three great kids. In my leisure time, I enjoy watching my kids’ sports, skiing, going to the beach, and being with my friends and family. I love making people smile! At Raymond Kim Orthodontics, I work alongside Dr. Kim during patient appointments and get new patients set up with all their records before treatment begins. I have always loved working with people; I learn new things from them every day! It’s very fulfilling to see a patient’s individual progress from start to finish. They always end up with a great smile! I am happily married with three sons, a daughter, and a dog. I love dancing, going to the beach and pool in the summer, and spending time with my family and friends. I work mainly at the front desk greeting patients, scheduling appointments, and answering any questions patients and their families may have. I greet everyone with a “happy to see you” smile when they come in the office. It is my goal for everyone to feel welcome and comfortable when they’re in our office. Because I get to visit with each patient when they come in, I really feel like I get to know them on a personal level. These relationships are the best parts of my job. I have two wonderful children, and while we don’t have any pets right now, I’d love to get a puppy! When I'm not working, I enjoy going to the beach, walking, gardening, cooking, and spending time with family and friends.